Let's face it, as you age, you outgrow some things - training wheels, action figures, your 80s hairstyle, band posters above your bed, late nights drinking beer and taking shots, and even your multivitamin. Switch to a multivitamin that matches your unique, mature health needs. 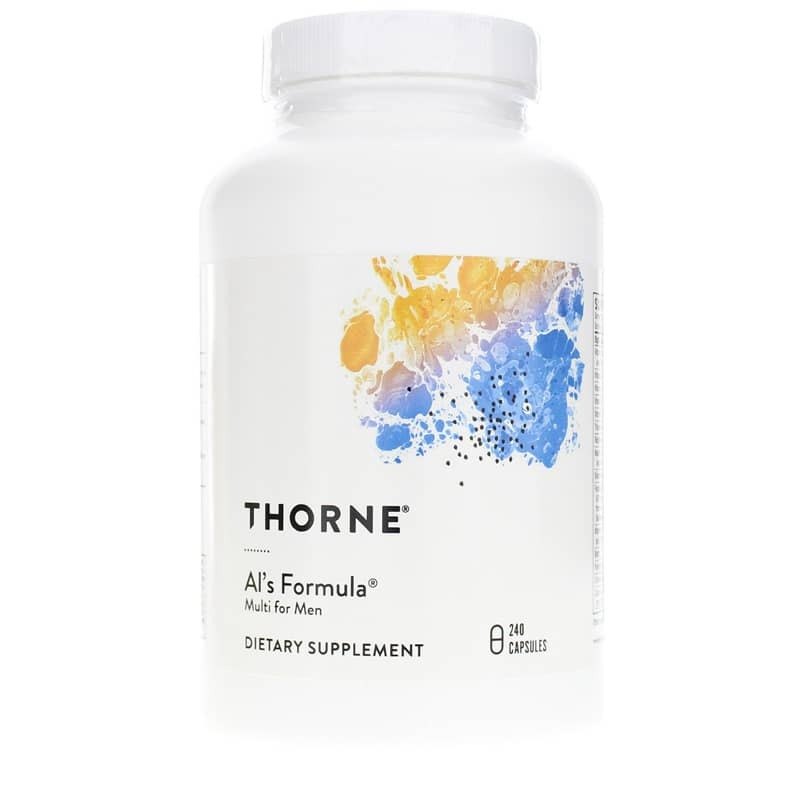 AL's Formula by Thorne Research is a comprehensive vitamin-mineral supplement for men over 40 designed to support the mature man's metabolism. 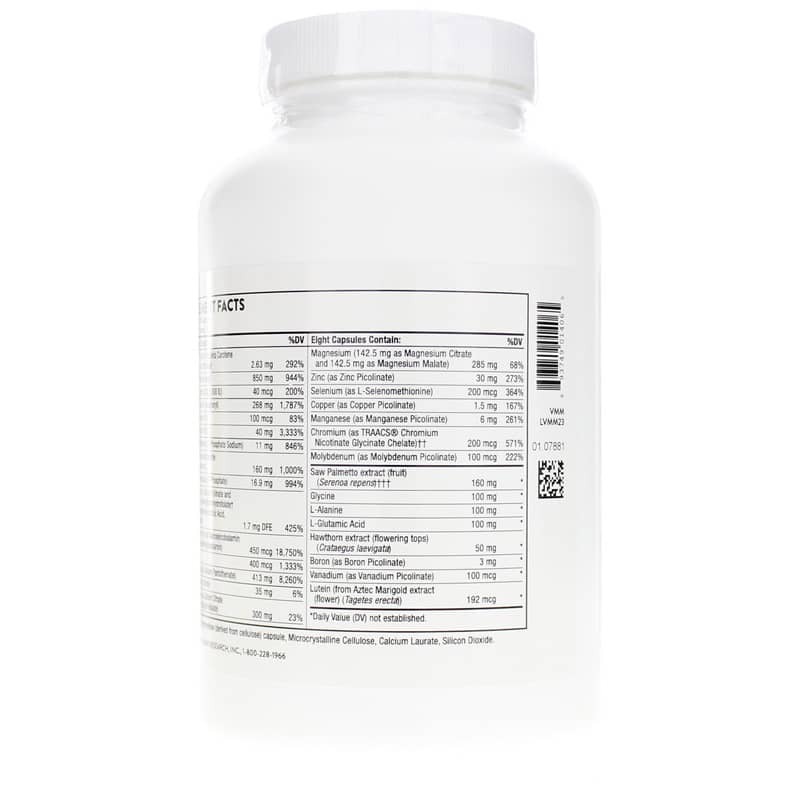 It also contains saw palmetto extract, extra zinc, and important amino acids for nutritional support of the prostate. 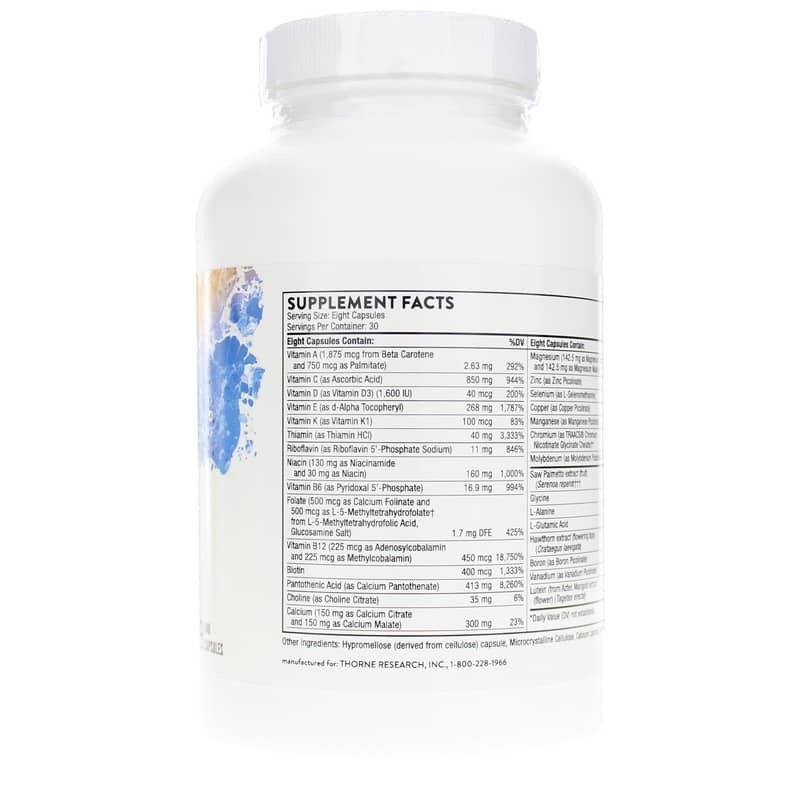 AL's Formula features a full range of important vitamins, including the active forms of vitamin B2, B6, B12 and folic acid. 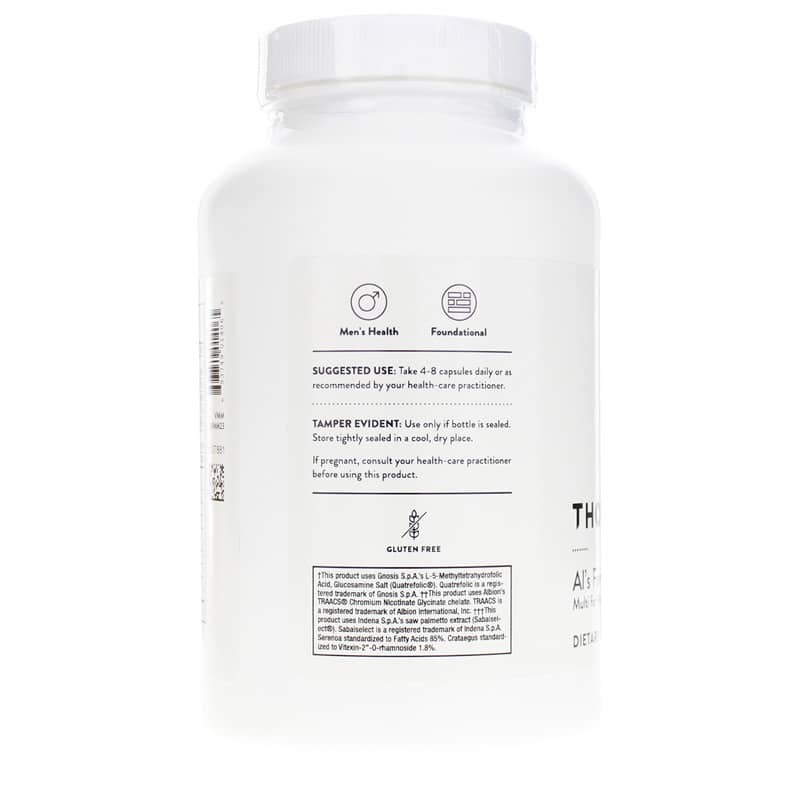 It also includes pure betaine and hawthorn extract to support cardiovascular health - an area of increased concern as you age. Support your mature self and health. Order AL's Formula. Adults: Take 4-8 capsules daily or as recommended by your health professional.